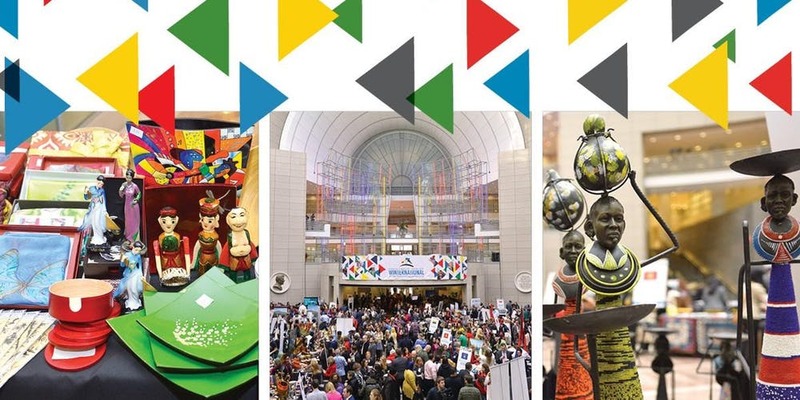 Washington, D.C. – The Ronald Reagan Building and International Trade Center (RRB/ITC) is hosting the 7th annual embassy showcase, Winternational, from 11 AM – 2 PM, Thursday, December 6, 2018. Over 50 embassies will be participating in this year’s event. Last year, more than 3,000 guests attended this lively midday celebration of international culture, travel, tourism and trade. This year, there will be many opportunities for 1:1 interviews with diplomats, embassy exhibitors, sponsors and attendees. This festival has the atmosphere of a bustling global marketplace with each embassy promoting their country through vibrant displays of visual art, food, handcrafts, as well as travel and tourism exhibits. Free and open to the public, guests can travel the world and do some holiday shopping—all during the lunch hour! The RRB/ITC is a preeminent forum in the heart of the nation’s capital advancing international commerce and cross-cultural dialogue. As a seamless, unifying framework, the ITC provides a platform for building connections, fostering diplomacy, growing businesses, and creating a more prosperous U.S. and global economy. The event is free and open to the public and is sponsored by TCMA (A Drew Company). Afghanistan, African Union, Armenia, Australia, Bahamas, Bangladesh, Bolivia, Botswana, Brazil, Bulgaria, Cameroon, Costa Rica, Egypt, El Salvador, European Union, Fiji, Ghana, Guatemala, Guyana, Haiti, Indonesia, Kenya, Kosovo, Latvia, Lesotho, Lithuania, Malawi, Malaysia, Malta, Moldova, Mongolia, Morocco, New Zealand, Nicaragua, Nigeria, Oman (Sultan Qaboos Cultural Center), Pakistan, Panama, Paraguay, Peru, Philippines, Russia, Saint Kitts and Nevis, Saint Lucia, Saudi Arabia, Serbia, Singapore, South Africa, Sri Lanka, Tajikistan, Trinidad and Tobago, Uganda, Ukraine, Uzbekistan and Vietnam. WHERE: Atrium | Ronald Reagan Building and International Trade Center, 1300 Pennsylvania Ave., NW, D.C.
HOW: Free & Open to the Public.